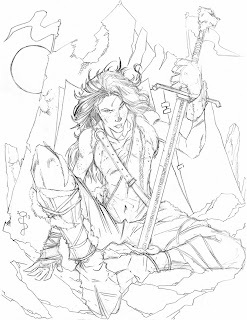 So this is the other study I did before I started the finished Ygritte illustration/print. Again, as much as I loved this piece, it just didn't fit in the series like I wanted it too. It was just a little bit different style then the other GOT pieces I've done before it too, and wasn't as "iconic" looking as I wanted. It was too pin-up looking and although I am very happy with the piece, I went in another direction obviously. I think the final piece wound up right in the middle of these two studies, and fit perfectly with the Jon Snow piece, which is what I was going for. Usually, I work on one image erasing and even starting over completely so I rarely have 3 or 4 different ideas for one piece, but for Ygritti, thats exactly what happened. And I'm glad of that because although I won't be doing prints of these past two drawings, I am really happy with them. 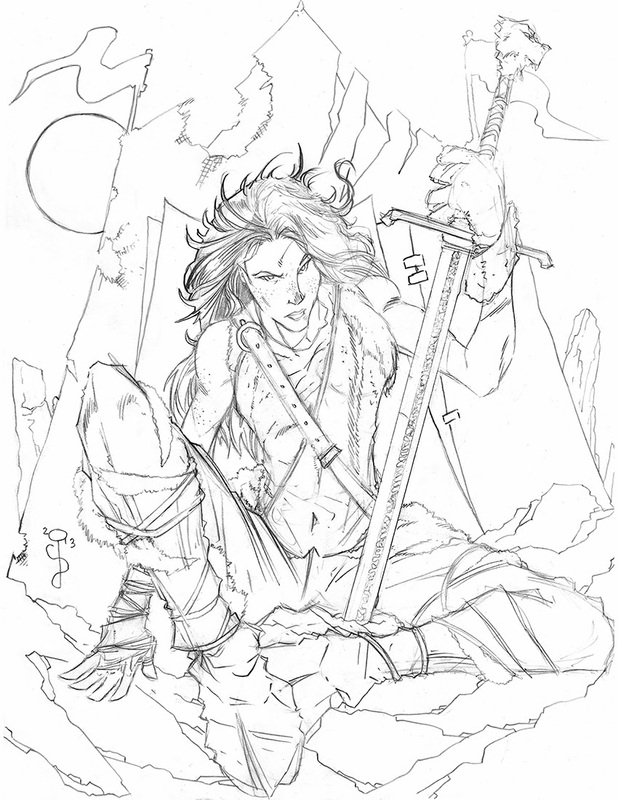 I still may color this piece as well, or at least do a finished rendering of it... we shall see. 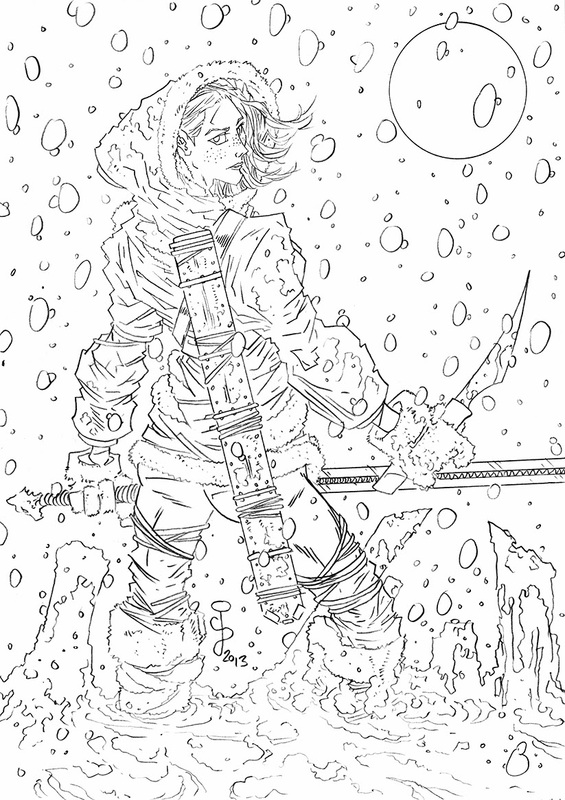 This was a study I did of Ygritte before I did the final colored piece you've seen previously. I was going to go with this shot before I scrapped it and went with another design entirely. But I still really like this shot. Especially her face and her stance. It just happens to be a little bit too cartoony to be one of my main Game of Thrones series of illustrations. 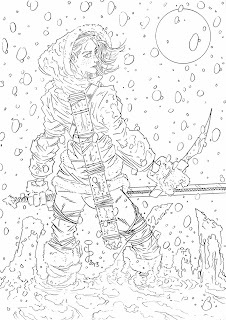 Next I'll post yet another study for Ygritte that I didn't go with either, for a completely different reason, but that I still absolutely love. Until then, have a great weekend!